Hello Bella Gypsy fans!! 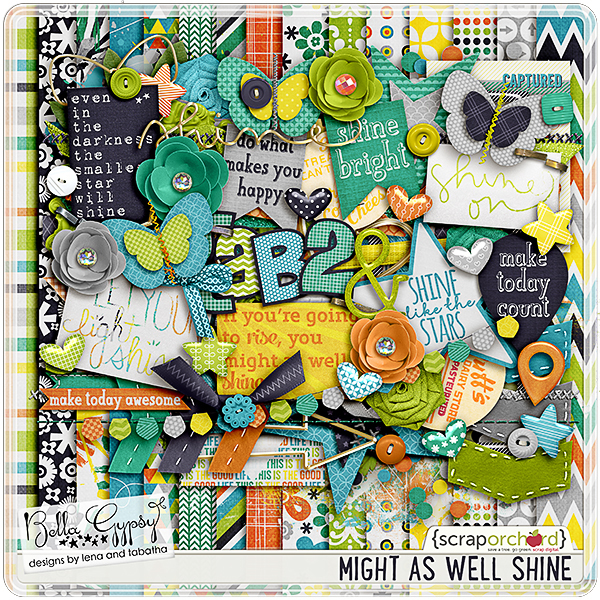 This week I have a couple of up close looks for you on two Kits with Free with Purchases and a couple of fun freebies that match the new Kits. 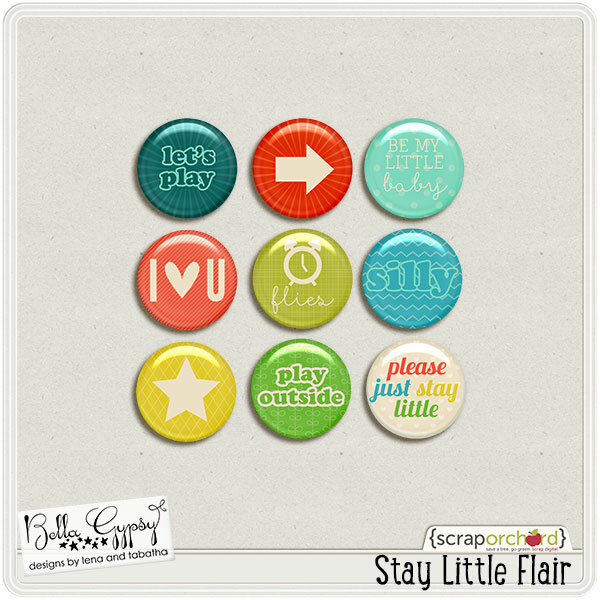 You can check out all of the Bella Gypsy Designs goodies over at the Scrap Orchard Market. All of the images are linked so they can take you straight to the Market or download your freebie. Let’s get started! 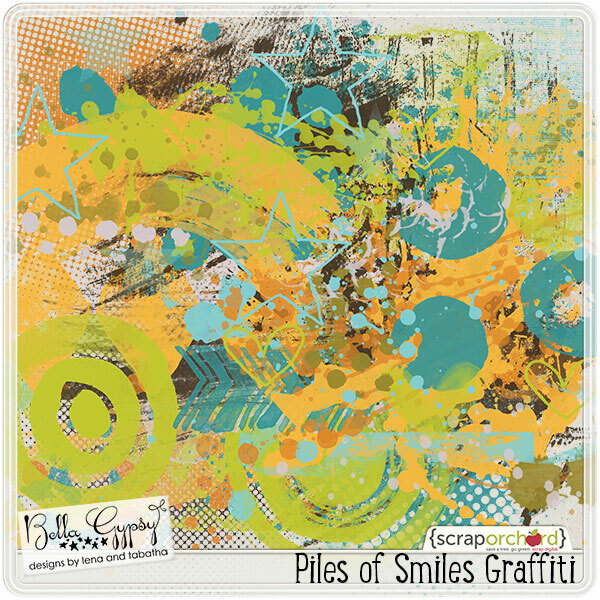 First, there is “Piles of Smiles”. Check out the cool colors of this Kit. I’m crazy for the orange, green and blues in this Kit. And here is “Unraveled”. 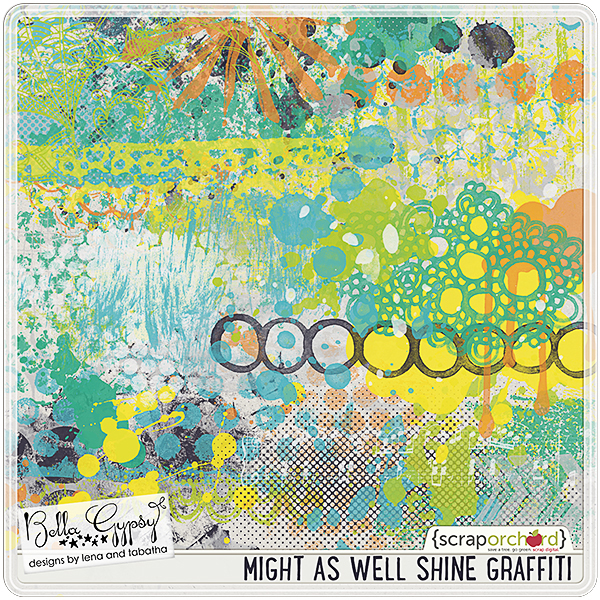 So bright, so fun and cheery! I don’t even do a needle craft and can’t wait to use this Kit! 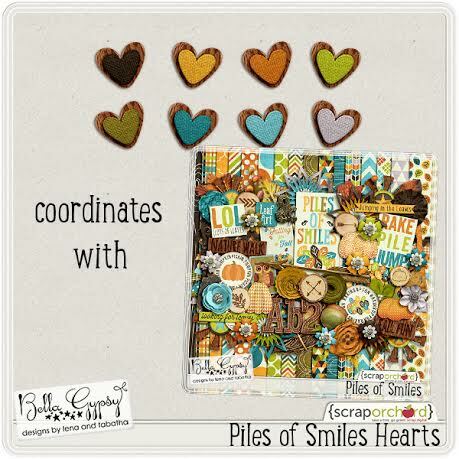 Hope you find lots of uses for these latest Kits! Have a great week. Thank you for all of the nice comments! Random. 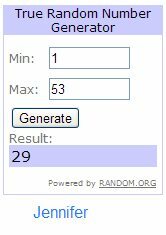 org chose our two winners tonight. Congrats to Toni and Jennifer. I’ll send out emails to them letting them know how to collect their prizes. Hello Bella Gypsy fans! This week I’m on it! 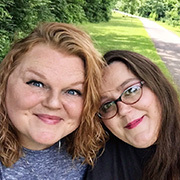 I’ve got not one, but TWO, sneak peeks from Tabatha and Lena. 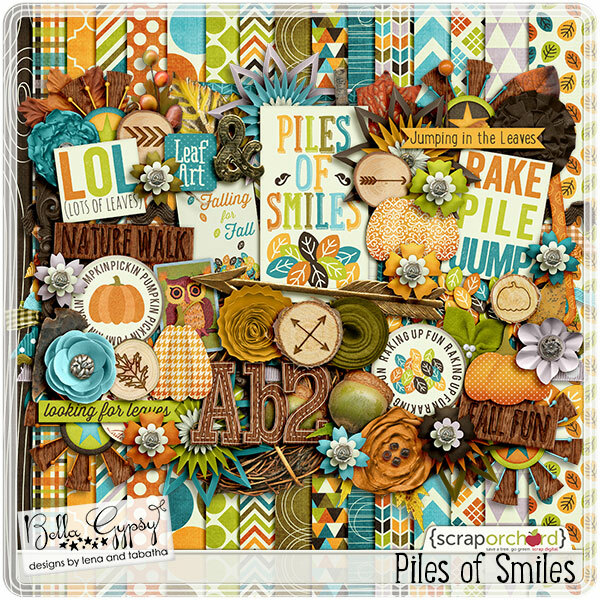 Just in time for Fall is “Piles of Smiles”. I love the orange, green and aqua colors in this Kit. Makes me want to pile up some leaves and dive in! 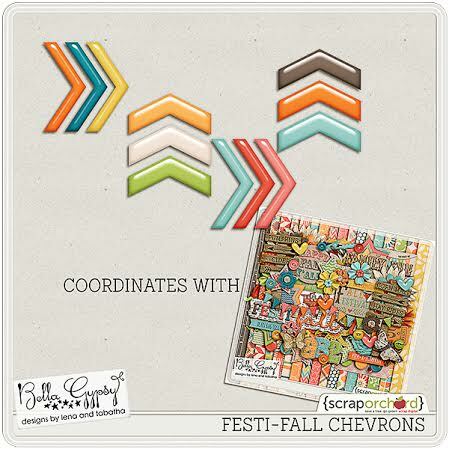 Can & Will and Happy Fall + freebies! It is our favorite time of the year! We bring out sweaters and boots as the air turns crisp and colorful leaves dance in the chilly air. Pumpkins patches, apple orchards and fall festivals every weekend! 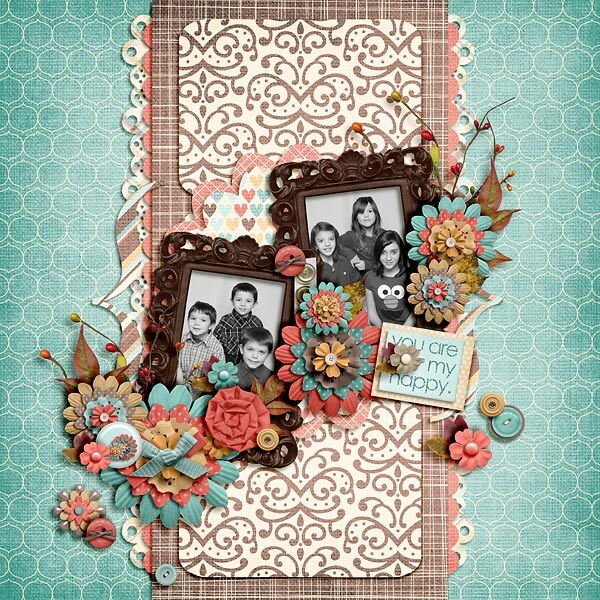 This digital scrapbook kit will capture all your fall family fun! You can and you will, so why not scrap about it? 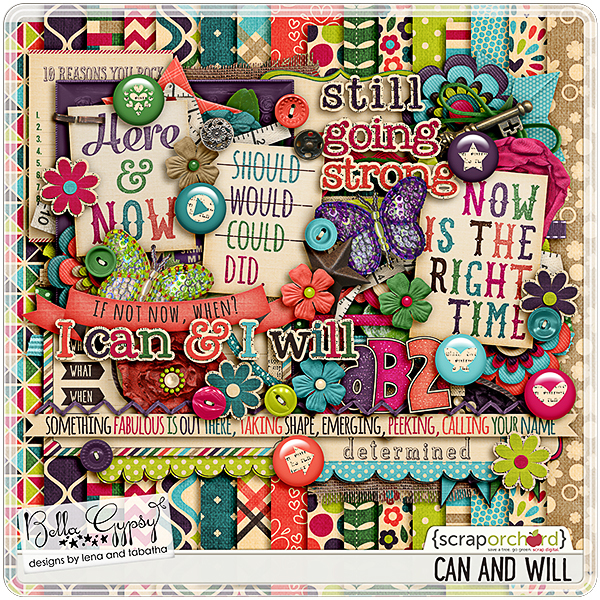 Can And Will is a digital scrapbook kit designed to scrap those moments of determination–whether you’re capturing your little one learning a new skill, scrapping a page for you, or anything in between! Thank you all for the comments! 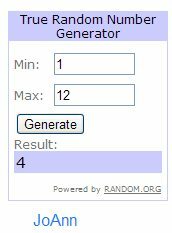 I had Random.org pick us a winner and I’ll send out an email on how she can collect her prize. Congrats, JoAnn! Hello Bella Gypsy fans! 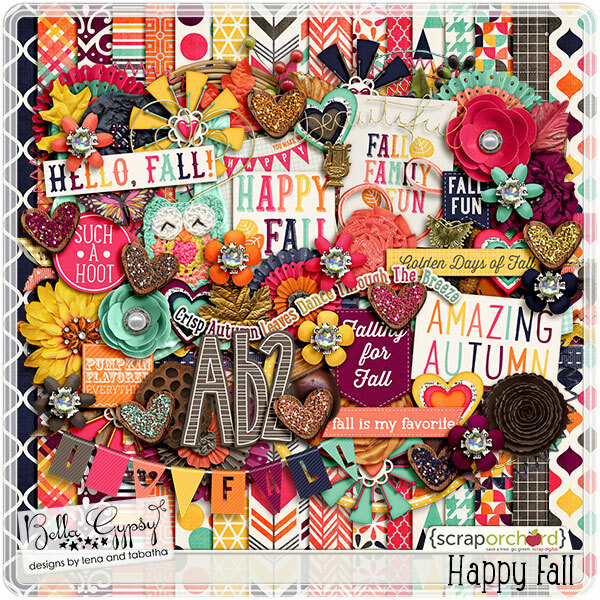 This week Tabatha and Lena bring you a happy Fall Kit aptly named “Happy Fall”. 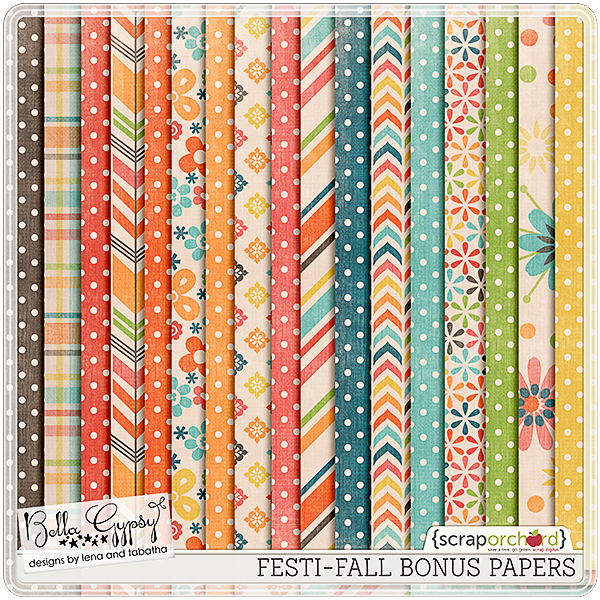 There are some cute surprises in here including a darling owl, some shimmery hearts and a festive banner proclaiming a love of Fall! I think ya’ll will fall for this new kit! If you’d like a chance to win this Kit just leave a comment on this post. Wednesday night at around 10 pm we’ll choose ONE winner using random.org and email the lucky person links to download the kit before it is available for sale! 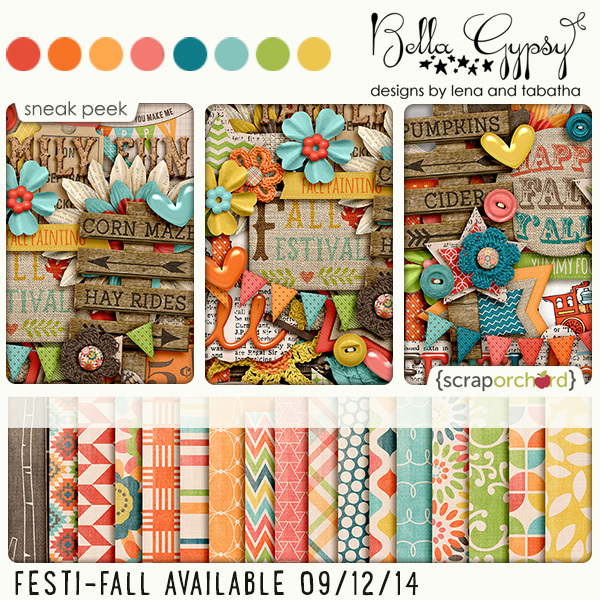 Stay Little and Festi-Fall Kits Are Here! 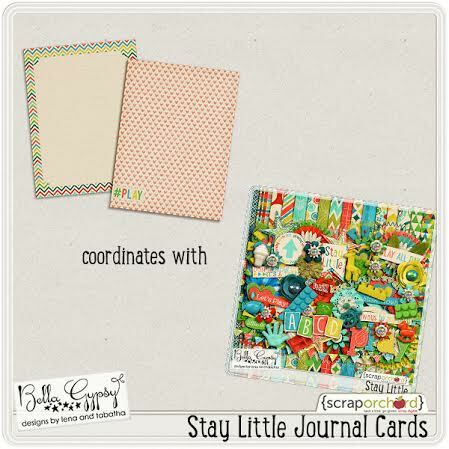 Well, actually, they are here at the Scrap Orchard Market, but you’ll want to add these and the free with purchases to your collection so they will be there with you. All of the images are linked, including the freebies at the end of the post. Thank you to everyone that commented. 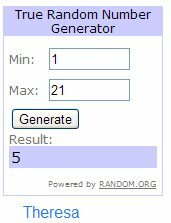 I had Random.org choose two winners tonight, one for each kit. Congrats to Jarmila and Theresa! Be sure to check back on Friday for a closer look at the new Kits and some freebies. Hello Bella Gypsy fans! 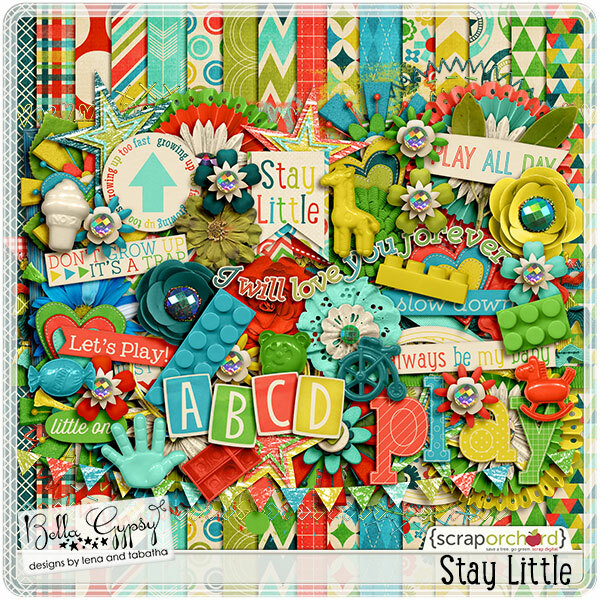 Today I have a sweet little sneak peek of a new Kit from Tabatha and Lena called “Stay Little”. There is a ton of advice and information that experienced parents give to newer parents, but the truest thing I ever heard is that “they grow up so fast!”. 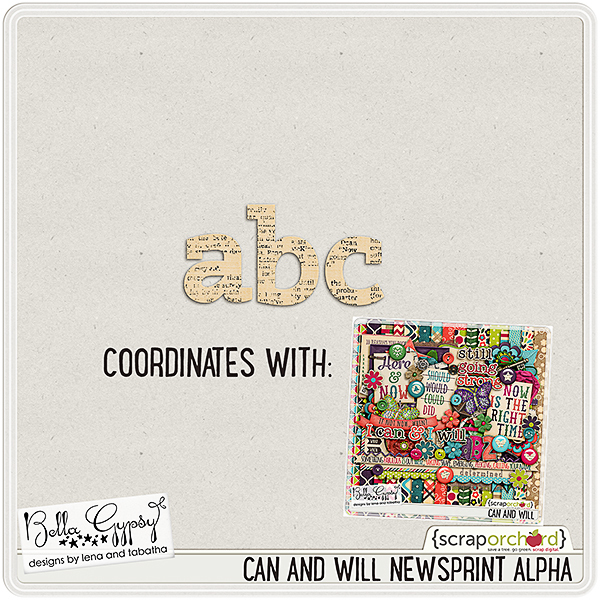 It’s one of the reasons I’m proud to be a scrapbooker. So I can capture those every fleeting moments and savor them. 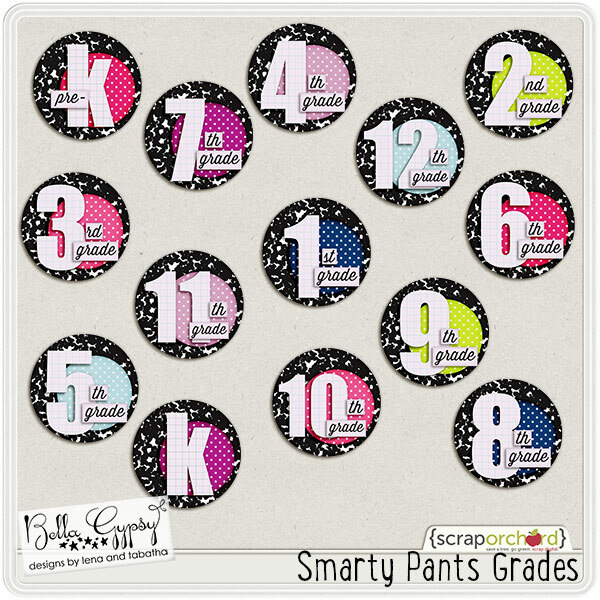 I know you’ll find TONS of uses for this latest kit! 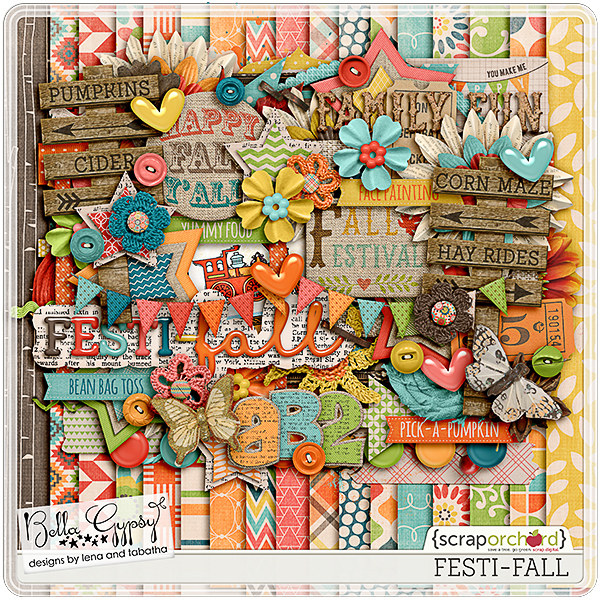 Also this week is a new kit perfect for scrapping your fall festival pictures! If you’d like a chance to win one of these just leave a comment on this post. 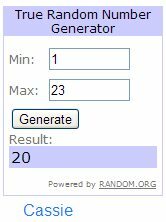 Wednesday night at around 10 pm we’ll choose TWO winners using random.org and email the lucky persons links to download the kits before they are available for sale! 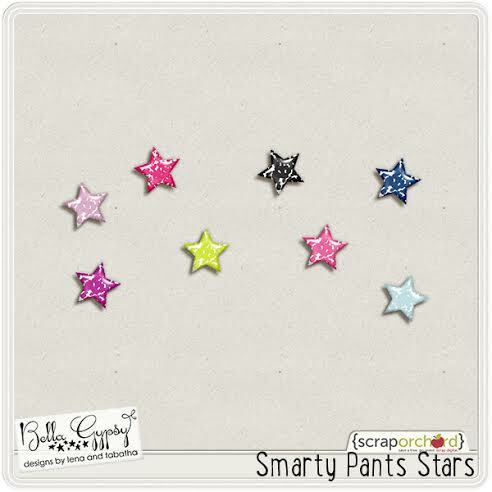 Be sure to check out the Scrap Orchard Market for all of the Bella Gypsy Designs creations. Hoping that your September shines with smartyness. It’s a word now. Have a great week! It’s Thrifty Gypsy time again! 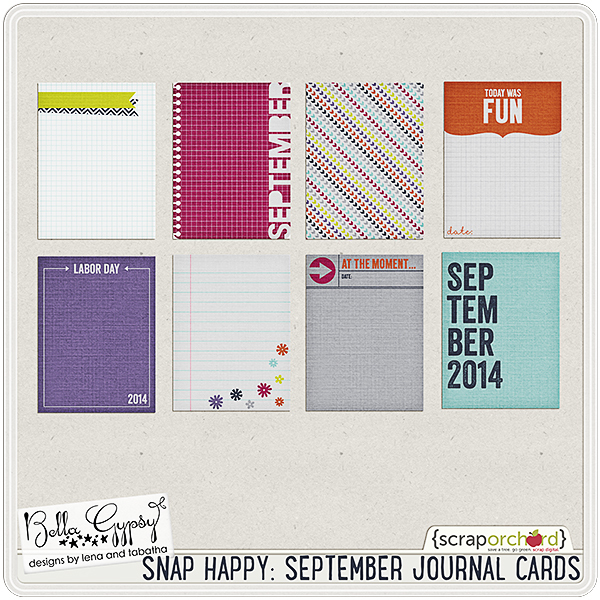 Here is September’s kit, You Are My Happy! But don’t pay full price…use this opportunity to pick up You Are My Happy for half off during September only! If you already have You Are My Happy, or if you pick it up now…send us a layout you create to contact@bellagypsydesigns.com. All entries will be entered to win a $5 Bella Gypsy gift card. Check back here October 1st to find out who won September’s contest and find out what’s on sale for October! And here’s your coupon code to snag it half off! And here’s last month’s winner, Julie! Congrats, Julie! 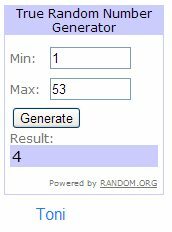 She wins a $5 BG gift card just for scrapping with Nap Happy and emailing it to us! Thank you for all the comments! Random.org chose our winner this week. Congrats to Cassie! An email has gone out on how she can collect her prize.